Carrie Lam Cheng Yuet-ngor, the chief executive of Hong Kong. Power Sport Images/Getty Images. 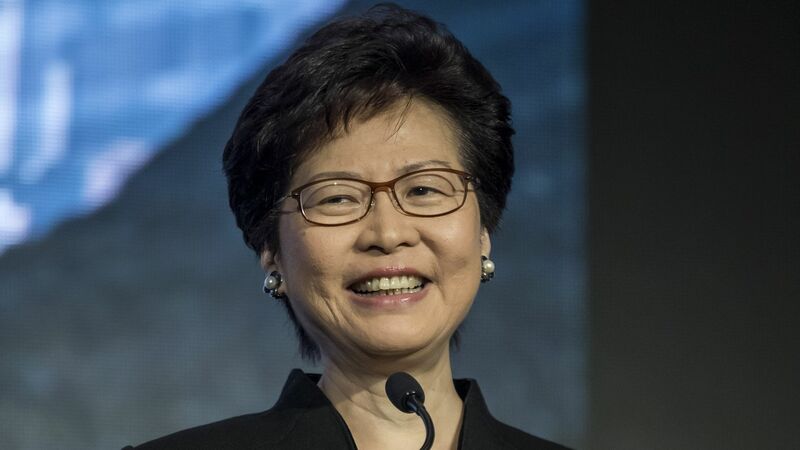 Hong Kong will ban e-cigarettes and other similar smoking products to protect public health, chief executive Carrie Lim said Wednesday during her annual address, per the Associated Press. Why it matters: Hong Kong will be the 28th territory or country that bans the import, manufacture, sale, distribution and advertisement of e-cigarettes. However, the AP writes that mainland China remains the largest producer and consumer of tobacco products, with more than half of the country’s men being regular smokers. As of 2017, there are 87 countries that have some kind of regulation on e-cigarettes, and studies show the market for cigarettes globally is declining. Other countries also banning such products include: Argentina, Bahrain, Brazil, Brunei Darussalam, Cambodia, Colombia, Gambia, Greece, Jordan, Kuwait, Lebanon, Mauritius, Nepal, Nicaragua, Oman, Panama, Qatar, Saudi Arabia, Seychelles, Singapore, Suriname, Thailand, Turkey, Turkmenistan, Uganda, United Arab Emirates and Uruguay.